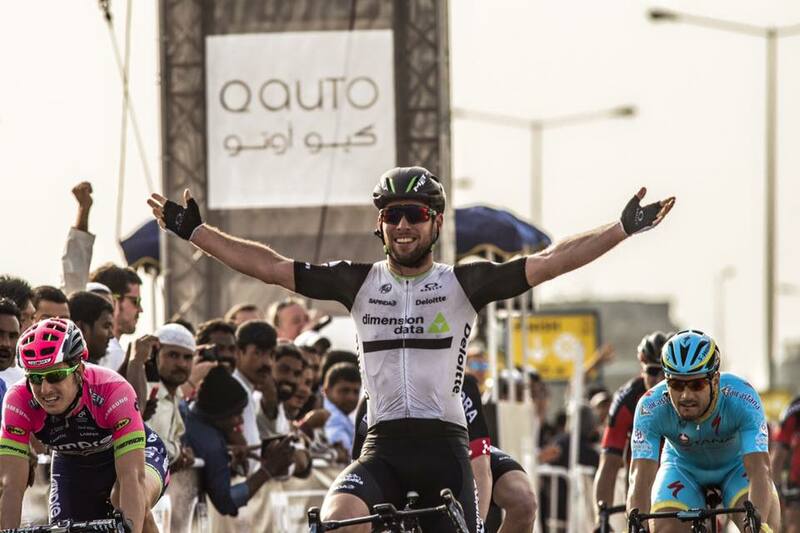 Mark Cavendish claimed the opening stage of today’s Tour of Qatar, marking the Manxman’s first victory of the season. 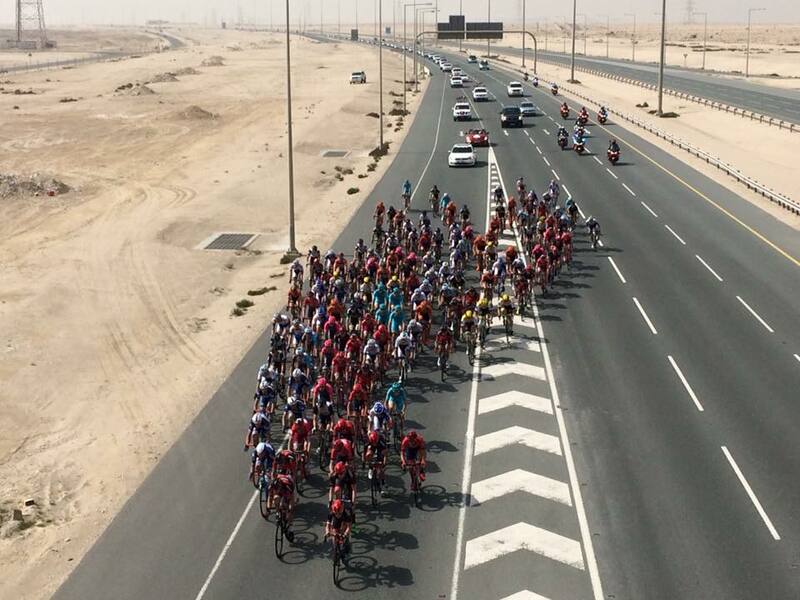 Today’s 180.5 kilometer stage began in Dukhan, crossing to the other side of the country to finish at the Al Khor Corniche. The entire race was high paced, with the peloton remaining together for the first 38 kilometers, before spitting into two groups, with 21 riders eventually forming a lead group which later opened up a gap of 1:20. Amongst the breakaway group, were a number of pre-race favorites, such as Alexander Kristoff (Katusha) and Greg van Avermaet (BMC), Andrea Guardiani (Astana) Sacha Modolo (Lampre) and Chris Jones (UnitedHealthcare), along with Cavendish and fellow Dimension Data riders, Edvald Boasson Hagen and Tyler Farrar. 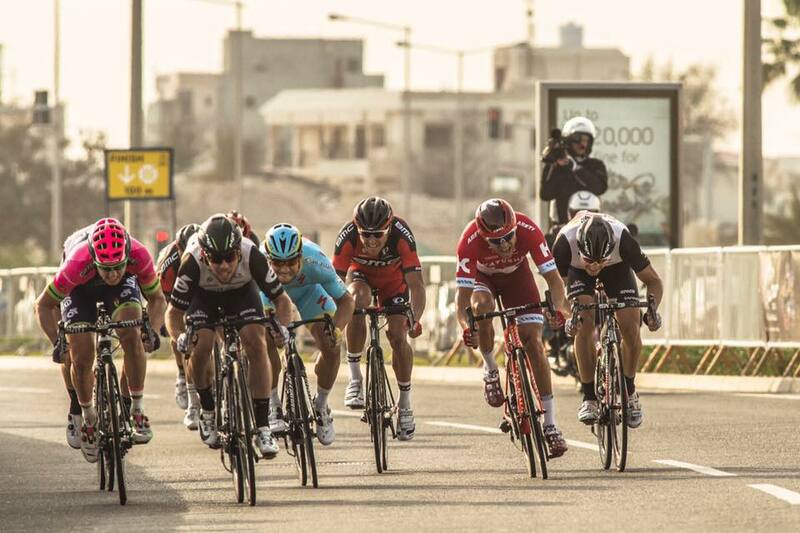 However, as the race continued, the breakaway group’s advantage began to dwindle, ultimately falling to just 50 seconds inside the final 10 kilometers. Nevertheless, the breakaway managed to hold-off the chase, with Katusha being forced to lead out the sprint during the final three kilometers. From there, several riders were spit-out the back of the group, with only Cavendish, Modolo, Guardini, Sam Bennett (Bora Argon 18), Kristof, Boasson Hagen and Van Avermaet able to contest the sprint. 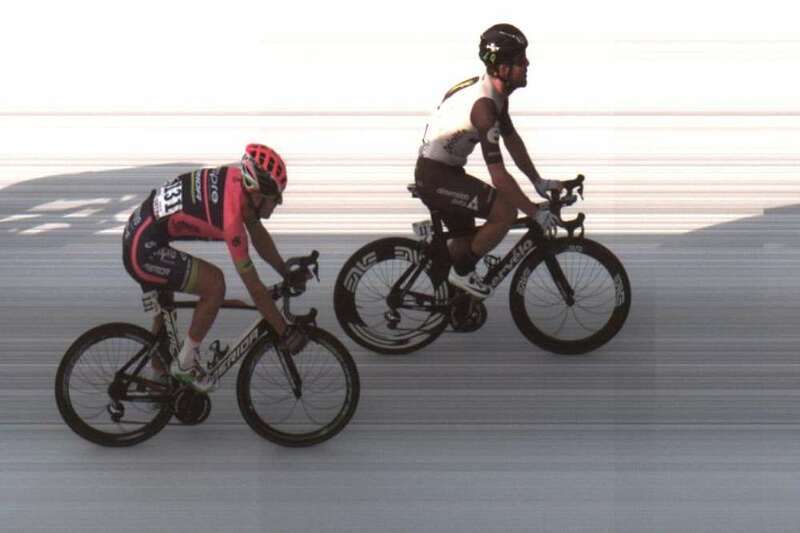 But, none could match the acceleration and speed of Cavendish, who quickly jumped away during the closing meters to seize the stage victory.